For years, there has been a need for logistics methodologies to keep pace with the developments in biology that require reliable and environmentally controlled solutions. Scientists are beginning to understand the importance of minimizing supply chain risk and properly protecting the integrity of biologic products from shipment to destination without impact to the efficacy of those products. It is critical to have technical solutions to manage dynamic and complex cold-chains. As someone who has clinically deployed powerful cellular products, I know it is extremely stressful worrying whether the product will get to its intended destination in the proper form and with the proper quality. Shipments of these valuable materials need to be tracked from shipment, in-transit and at point of delivery. It is the rapid adoption of cellular therapies by cutting-edge technology companies with dozens of clinical trials, covering a diverse group of therapeutic areas, such as immuno- and regenerative therapies, that impacts oncology, the treatment of autoimmune disease, and the treatment of neuro-degenerative diseases like Parkinson’s, and heart disease such as congestive heart failure. Given the addressable patient population for many of these types of therapies, it will take only a few of them to reach commercialization to drive a notable increase in the demand for cryopreserved cold chain solutions. Without question, advanced cellular therapies require rigid, well-designed and enhanced cold-chain management solutions based on all elements of packaging, data collection and logistics expertise to ensure effective patient treatments with the highest quality products. In short, temperature excursion can affect the quality and efficacy of the product. Manufacturers go to great lengths to ensure that products are produced under rigorous standards; therefore, a chain of custody, a chain of condition, and the ability to monitor and track important information about the product are as crucial as producing the product. Reliable time and temperature control logistics are a vital part of the development of the life sciences and life-saving therapeutics. Today, the total biologics market is approximately $289 billion and growing at about 11 percent per year. However, the success of the industry is further measured by the practical application of these advanced medicines that require widespread reach, once again highlighting the need for advanced cold chain solutions. I’m extremely excited about the industry. I believe that cellular medicine has an opportunity to reshape how we treat many, many diseases. I see from my own experience building cell therapy companies that this industry takes tremendous effort to produce high-quality products; products that are extremely sensitive to the conditions of production, storage and transportation. As a clinician, I understand how complex the internal reception environment is at the point-of-care site, and so using temperature protection and chain-of-custody data to pay attention to how the product arrives will ultimately allow us to gauge what plays a role in the efficacy of the product and our patients. 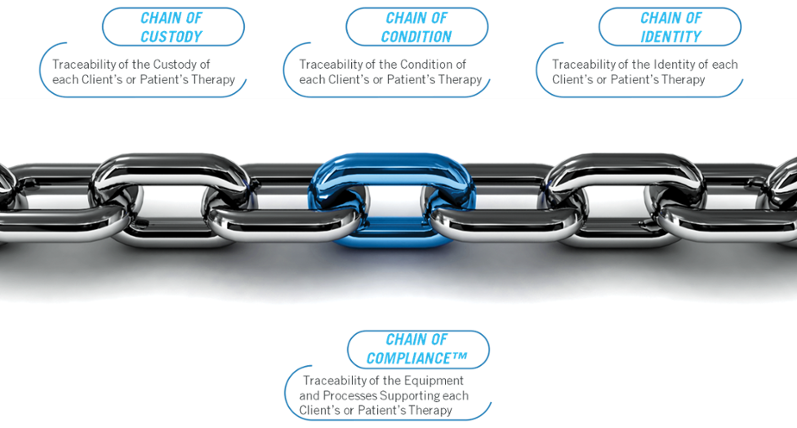 From my perspective, it is critical to select a partner that has the highest possible standards and services in cold chain logistics, especially as related to standardizing the capture of chain-of-custody data during shipment and sometimes short-duration storage. My view has been further verified by FedEx, UPS and DHL, which have partnered with Cryoport. These major companies in the transportation and delivery of mission-critical products consider Cryoport best-in-class.